This might sound a bit too philosophical on the outset, but Oregon has plenty of caves that have unearthed treasures for you to explore. In fact, many of them look straight out the Indiana Jones movies. In this post, we are going to make you well versed with some of the most exciting cave adventures that the state of Oregon has on offer. So, without further ado let us begin our journey through these cave adventures and see where we end up. As we move towards Central Oregon, we come across one of the most popular and easily accessible caves – The Lava River Cave. You can reach the cave with a detour of just a few miles from the North of Sunriver. Just take an hour and a half’s walk from there to step into a colder and darker world, straight out of a fantasy land. Incredible rock formations, spider webs, mice, worms and centipedes – you can find them all welcoming you with arms wide open on the way. If you are looking to visit the cave, then you need to hurry up as it will close for the season on 2 October, as it is the breeding season for the bats. These caves are formed of marble, which metamorphosed from limestone mountains that were present here millions of years ago. Nestled into the lap of Siskiyou Mountains, these caves are nothing short of natural wonders. Located at about two hours west of Ashland, the Marble Hall Caves of Oregon are popularly known as the Oregon Caves National Museum. 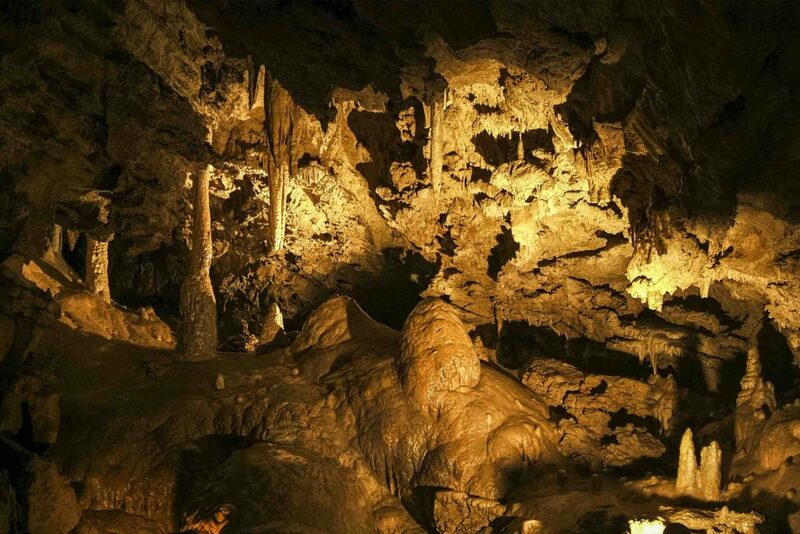 You can go for guided tours of these caves, which are available throughout April to November. There are special introductory tours for kids as well. So, if you want the kids to have some adventure, fun and some learning at the same time, these guided tours are perfect. 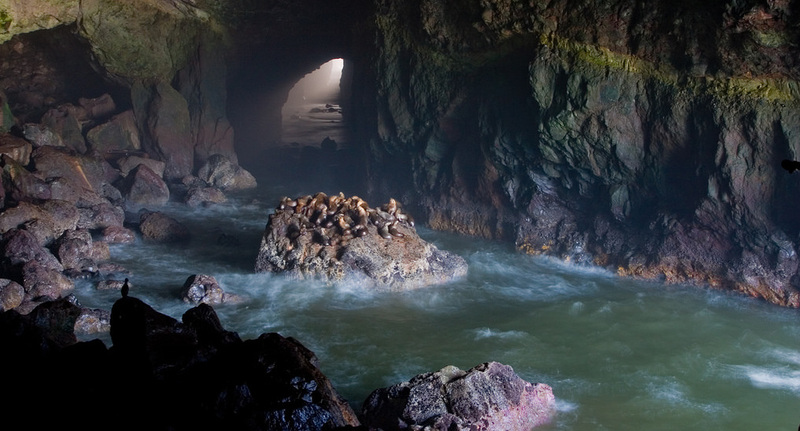 Located 11 miles North of Florence, The Sea Lion caves are an amazing option for people who like caves with sea water. One of the state’s top attractions, these caves opened in the year 1961. 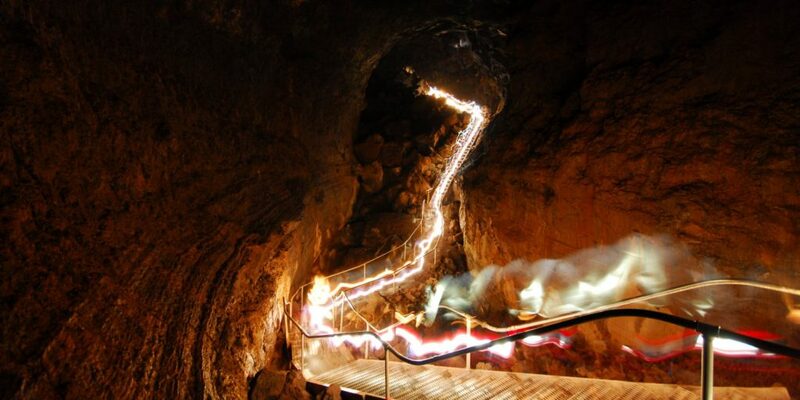 A descent of 208 feet takes you into the basalt cave, dating back to more than 25 million years. You can easily witness sea lions in winter at the caves, breeding and birthing throughout the spring and summer. Apart from these sea lions, there is plenty of wildlife including bats, gray whales on the coast almost all year round, harbor seals and migratory sea birds as well. As you can see there is so much that Oregon caves have at offer you. If you are looking for an exciting adventure over the weekend, visiting any of these caves can be a great idea. So, what are you waiting for? Plan your trip and enter the caves for an adventure that Indian Jones would enjoy!